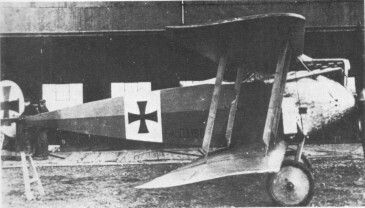 To replace its E-series monoplanes, in the summer of 1916 Fokker evolved the D I biplane fighter from its M.18z prototype. The D.I had a 120 h.p. Mercedes engine, but looked very much like the D. II. Martin Kreutzer lost his life whilst testing a D. I Although 136 were built, the type proved too slow for use on the Western Front. Engine: Mercedes DII, 89-kW (120-hp).